Step 1: Download and install DriverMax on the computer you want to backup drivers from. Step 3: The export wizard will now launch. Click “Next”. 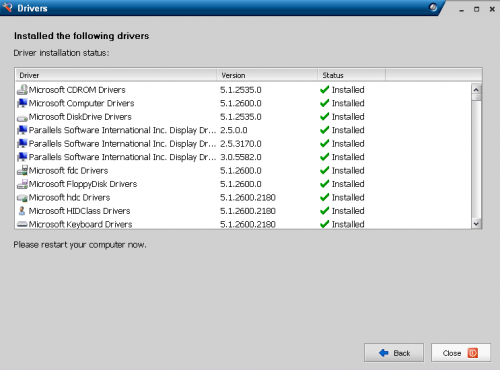 Step 4: You will now see a list of all of the current drivers installed on the computer. You can either individually select the drivers you want to backup or you can click “Select All”. When you make your selection, click “Next”. Step 5: Select your backup location. 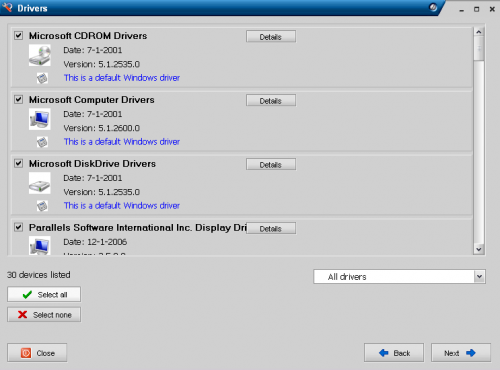 DriverMax will put each driver in an individual folder. When you are ready to start backing them up, click “Next”. Step 6: You are now finished backing up your drivers. 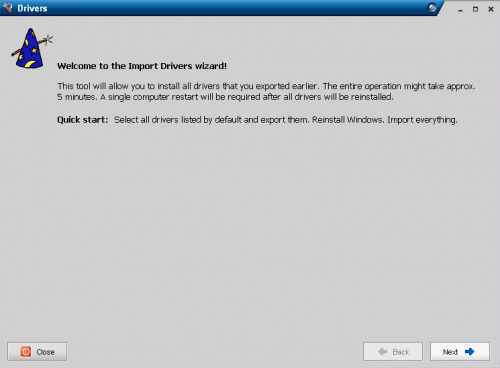 If you would like to import them onto your computer or another computer, click “Import Drivers” from the “Driver Operations” menu. Step 7: The import wizard will now launch. Click “Next”. Step 8: Choose the location of the drivers you would like to import. Click “Next”. 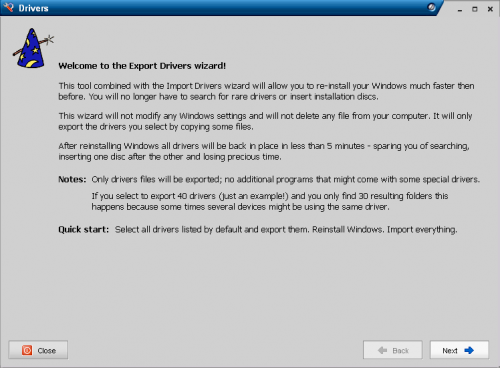 Step 9: Select the drivers you would like to import. You can also select all of them by clicking “Select All”. When you have made your selection, click “Next”. Step 10: You will now see an overview of what you will be importing. When you are ready to import them, click “Next”. Step 11: You will now see the import results. Click “Next” and restart the computer. 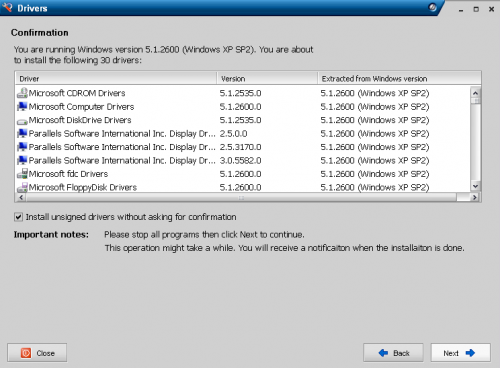 If you have any experience backing up and restoring drivers please feel free to share. I have never come across this application, this seems a great way to back up your drivers. Does it work very well? It’s STUCK, during reinstalling the drivers, and some didnt work like sound drivers, u have to setup realtek HD audio driver even reinstalling drivers with This app. Nice tutorial. I hope I don’t need to completely replicate all my drivers. If I do, I will know where to look first. I installed the software, but could not get it to work. the driver operations option doesnt show. The instructions shows the driver operations button, but this doesnt show in the actual program. My computer started to show symptoms of possible registry problem. I neede to do someting about it before the condition worsen. I found an edit windows registry help materials that guided me through the rest of the process. After the procedure my computer lost it’s hardware drivers. My drivers’ CD is already broken but it was agood thing that my friend has similar computer specifications with mine. We downlaoded DriverMax and followed this article instructions. After a few minutes all my hardware devices were all up and working again. Use Offline NT to reset forgotten Windows passwords. Is there anybody else having the same RSS problems? Anybody who knows the solution will you kindly respond? What problem are you experiencing with the RSS feed? I just checked it and it’s working fine for me. Driver Talent gets drivers for other laptops, notebooks, or desktop PCs. You can download all drivers including network drivers, WiFi drivers, Ethernet drivers, Bluetooth drivers, display/graphics drivers, sound/audio drivers, printer drivers, motherboard drivers, keyboard & mouse drivers, USB drivers and more.